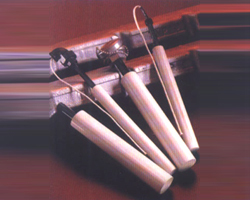 Sheath : SS-304, SS-310, SS-316, SS-321, SS - 446,Inconel - 600, Incaloy - 800, Titanium, Tentalum, Tungston, Hast - Alloy - C etc. 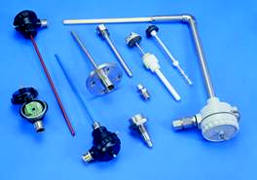 Thermowell : Bar - stock or fabricated as per DRG / application available in different metals : plain or coated. 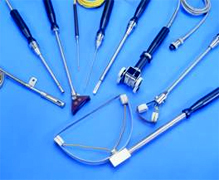 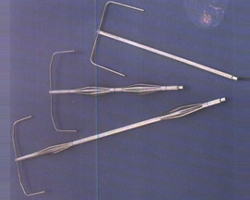 Thermocouples & RTD Probes for penetrating meats, fish, poultry & other food products. 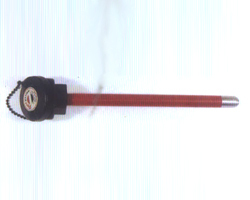 RTD sensor to measure cross - sectional temperatures in large air ducts. 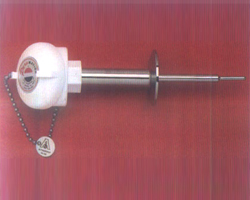 High accuracy RTD's for use in food & pharmaceutical sanitary process applications. 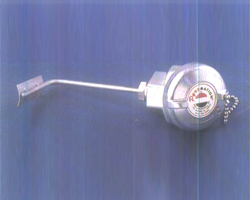 Psychometric temperature & humidity measurement in smokehouses & lumber drying kilns. 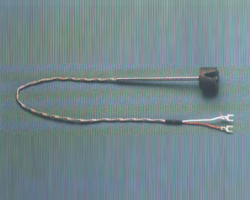 Spring loaded magnet attached thermocouples for metal surface temperature. 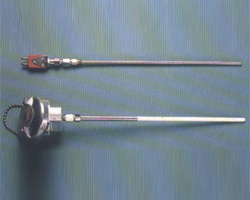 Thermocouples with special protection tubes for high temperature corrosive service. 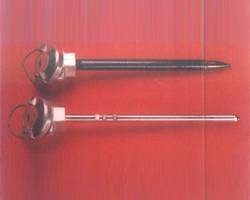 Thermocouples with non-wetting protection tubes for molten aluminium. 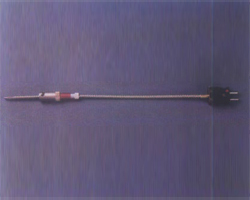 Thermocouples with colour indication when properly seated in place. 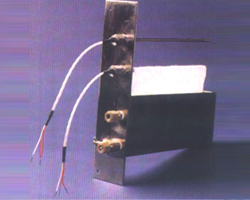 Platinum thermocouples in high temperature sheaths for vacuum furnace service. 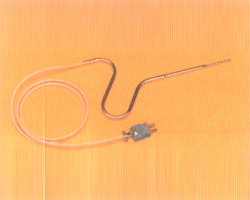 RTD sensor for "Godet" temperature measurement in textile fiber processing. 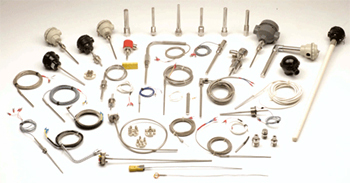 Thermocouples with hardened tool steel, carbide, tungsten or chrome coated tips for abrasive service. 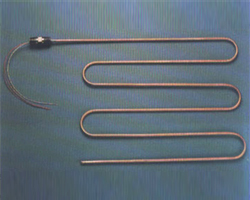 RTD's or thermocouples with weld pads for pipelines or boiler tube skin temperature measurement.